People who are blind or have low vision want to buy products, enjoy services and be part of society – just like every other Kiwi. You can reach them by creating documents and websites, signage and buildings that are accessible. Accessible means that someone who’s blind or has low vision can get your information in a way they can process it. If they’re on your website, they can read about your products and services using assistive technology. If your brochures are available by email as accessible PDFs, they can also use that computer programme to read them. If your menu is available in braille, a blind diner will be able to choose their dish of the day. Not only is an accessible website important for your audience who are blind or have low vision – it’s important for you. Google likes accessible websites – being accessible is great for your ranking. People with sight loss use all sorts of technologies to read a website. Some people use computer programmes and others will use magnifiers. There are people who increase the size of the text or change the colours on the screen to read online. Whatever they do, you can make it easy for them to get the information they need. Image maps: use the client-side map and text for hotspots. Multi-media: provide captioning and transcripts of audio, and descriptions of video. 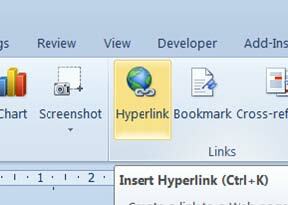 Hypertext links: use text that makes sense when read out of context. For example, avoid ‘click here’. Page organisation: use headings, lists, and consistent structure. Use CSS for layout and style where possible. Graphs and charts: summarise or use the longdesc attribute. Scripts, applets and plug-ins: provide alternative content in case active features are inaccessible or unsupported. Web Accessibility Initiative – This international community develops standards to help create an accessible online world. It publishes the Web Content Accessibility Guidelines (WCAG) 2.0 Standards. NZ Government Web Standards will help you understand what’s expected of New Zealand’s government departments. The WAVE (Web Accessibility Evaluation Tool gives simple feedback on your website. The Roundtable on Information Access for People with Print Disabilities has helpful e-text and clear print guidelines. Checkmycolours lets you check your website’s colour combinations. You’ll find out if the combinations have enough contrast to be easily read by someone who has low vision. By creating accessible documents, your information will be available to a wider audience. People who are blind or have low vision need documents like company brochures, appliance manuals, council information and bank statements as much as anyone else. A person who’s blind or has low vision uses all sorts of adaptive technologies to read printed documents. These technologies include specialist software, computer programmes and magnifiers. They might also convert a document into a format best for them – like braille or audio. An accessible document could also be in MS Word, a txt file, html, large print or non-scanned PDFs. The Blind Foundation’s easy tips will help you make your documents accessible for both people who are blind and those with low vision. For example a good, clear structure helps people get around the document. It also means it can be converted more easily into braille, large print, synthetic audio or other formats. Minimum font size 12 point. Consider the colour of the font and the colour of the background. Does the font provide good contrast? Black font on white paper always works well and so does yellow on dark blue. All text should be left aligned. Avoid large amounts of italics, BLOCK CAPITALS and underlining. Use bold for emphasis. Add alternative text (a narrative description) to images. Avoid images that are text (eg scanned PDF files). Use text equivalents for charts, maps and diagrams. For example use ‘Human Rights Commission Website’ not ‘click here’. 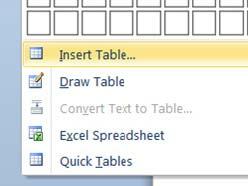 Tables should be used for tabular data. Do not use tables for layout. Avoid merging table cells. One piece of information per table cell. 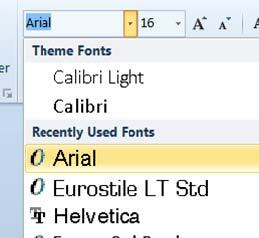 Text Boxes in Microsoft Word are not accessible. Use Styles to apply and format document headings. Use the bullets and numbering function. Accessible documents by Tom Smith, Blind Foundation is licensed under a Creative Commons Attribution 3.0 New Zealand Licence.